Appointed without ballot by the General Assembly to the High Court of Chancery on January 14, 1778, and became a member, ex-officio, of the Court of Appeals when it met for the first time on August 30, 1779. Appointed without ballot by the General Assembly to the separate Court of Appeals on December 24, 1788, and began his service on that court on March 5, 1789. Service terminated by death. Authorized by statute, as the first judge nominated to the High Court of Chancery, to preside over the Court of Appeals when it was constituted in 1779, and to maintain the position when the Court of Appeals was constituted as a separate court in 1789. Lacking an official title, Pendleton called himself “First Judge of the Court.” Service terminated by death. Service on the court, 4 Call (8 Va.), 633, and David John Mays, Edmund Pendleton, 1721-1803: A Biography, v. 2 (1952; reprint: Richmond: Virginia State Library, 1984), 153, 155, 165, and 274. 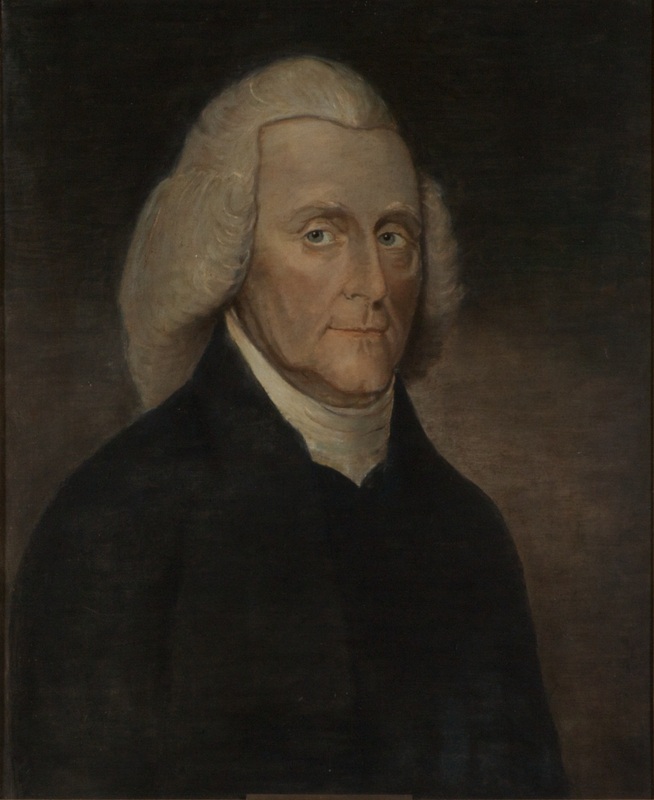 For a summary of Pendleton’s life, including his birth, education, and career, see Mays, “Edmund Pendleton, 1721-1803,” Proceedings of the Thirty-Sixth Annual Meeting of the Virginia State Bar Association (August 1925), 392-401; and Pendleton, Edmund (1721-1803), Biographical Directory of the United States Congress, 1774-Present, retrieved on March 25, 2014; portrait, Ray O. Hummel, Jr., and Katherine M. Smith, Portraits and Statuary of Virginians Owned by the Virginia State Library, the Medical College of Virginia, the Virginia Museum of Fine Arts, and Other State Agencies (Richmond, Va.: The Virginia State Library, 1977), 91; estimated date of portrait, Catalog of American Portraits, National Portrait Gallery, retrieved on March 25, 2014. For a discussion of Pendleton as the first presiding judge of the court, see David Mays, Edmund Pendleton, 1721-1803, v. 2, 155, note 5. In an autobiographical essay written in 1793, Pendleton recalled he was elected to the presidency of the High Court of Chancery, but the term president is not used in the statutes or the order book until 1831. Pendleton also referred to himself as “head of the Judiciary Department”; Mays, v. 1, 356.